↑ अ आ इ ई Williams, David R. Dr. (December 18, 2006). "Viking Mission to Mars". NASA. अभिगमन तिथि February 2, 2014. ↑ Nelson, Jon. 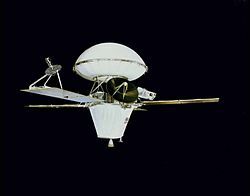 "Viking 1". NASA. अभिगमन तिथि February 2, 2014.